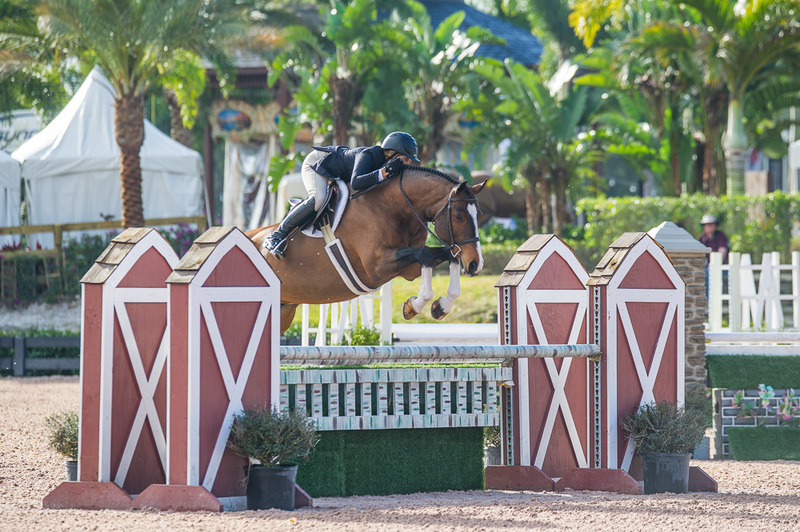 This is about as good as it gets in the sport of show hunters, which is judged subjectively on the horse’s movement, jumping ability and manners combined with the rider’s ability to present the horse to each fence with the same rhythm, pace and take-off spot. The ideal score is 100, and Tori and Inclusive received a 92 from the judges for this round, which also garnered them the week’s high-score award. Inclusive is in perfect form, leaving plenty of space over the top rail, with knees up to his chin and a round bascule, all produced with a loop in the reins. This 15-year-old rider named Tori Colvin is a child prodigy in our sport, and she’s regularly topped the professionals at the highest levels since her pre-teen years. Tori did it yet again a few weeks ago in Florida during the $50,000 WCHR Hunter Spectacular, when she dominated the competition for the second consecutive year. For this week’s A-Z Archive Challenge, I highlighted the article I produced on this jumping competition (for the Tagged J theme) for those who’d like to read more about Tori or the competition. This piece, Colvin Continues Her Reign, will appear in the March issue of the United States Hunter Jumper Association publication In Stride. Impressive. And what a nice treat that the young rider is doing so well! the right moment to click! This is a 15 year old ? She is amazing ! I can see her in the Olympics soon, and what a fantastic mount she has. Great photo. My granddaughter is also riding and I have some posts from her riding. Thank you! Finland has many talented riders and horses. I’m glad she has found a wonderful hobby!